My life, thoughts, goals and ideas. Random stuff mostly, enjoy! My kids wanted to do a game for Easter and I had only watched a couple of YouTube videos on Corona Sdk (listed below) which were examples of games that used gravity so I thought a game of falling eggs with a basket for Easter would be a simple app that I could handle. But my kids wanted to get more involved, they wanted to design the eggs that fall for Easter that can be placed in the game. I agreed and got to work building the app and using plain white eggs until my kids finished making their designs that I would insert later. By the time I got the game working the kids were getting anxious to get their artwork into the program so they could see it in the game. Their excitement gave me an idea; If they were excited to see their own artwork in a game, then other kids would too! 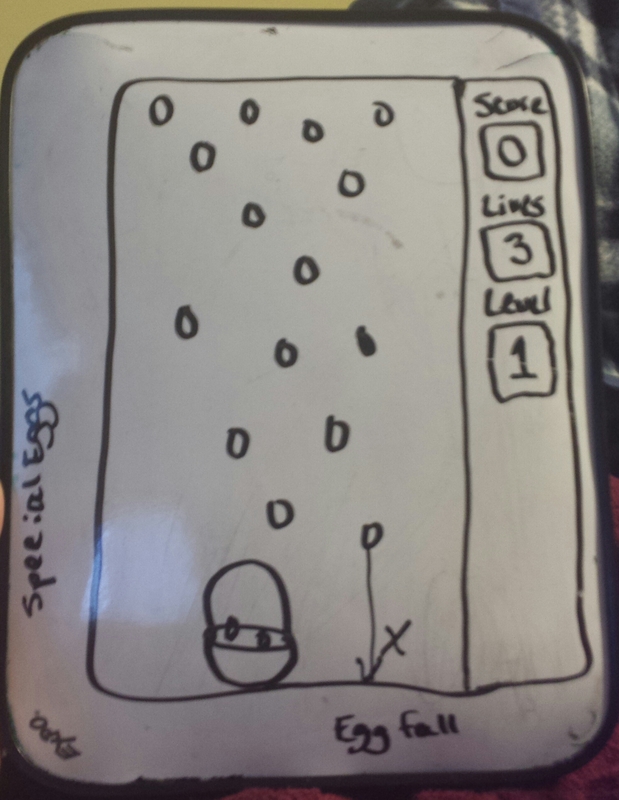 I asked the kids for a couple more days and I promised that when I finished they would be able to design as many eggs as they wanted for the game. 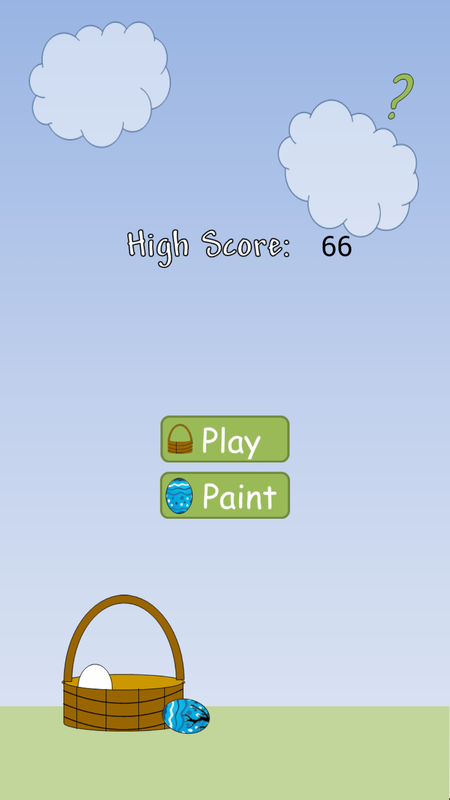 I approached the paint part of the game with the simple fingerpainting code provided by @schroederapps. I included his fingerpaint.lua file in my code and I altered it slightly. I changed the background shape from a simple rectangle to a polygon with coordinates that form a large egg shape. This allowed me to display a canvas for fingerpainting that gave a guide for the egg drawing but allowed for coloring outside the lines. I then saved the drawings and inserted their filenames (formed from timestamps) into a local array of egg files. The game pulls this array and gets a random filename for each egg dropped, using the same polygon with coordinates for a smaller egg shape for the eggs in the game. My kids normally go through the app store pretty quickly. They download a game and within in 5 minutes (seriously!) they are bored and on to the next. This game has actually held their attention for a few days so far. I know its their baby so they are a little more invested, but I have to admit its even held my attention and its even a bit addictive. Not bad for my first app anyway. Please give it a try and share it with your kids, Happy Easter! Eat Clean + Fitness = Lean! The things I do while staying at home with the kiddos! A bargain hunting, direct selling, attachment parent sharing about how we make it through this crazy thing called life! Simple nutrition and fitness advice from a self-proclaimed "fitness motivator"